Rick Larrick, who blogged about the MPG Illusion, has created a new calculator that lets you check out the gallons per mile for your vehicle, or any other for that matter. You can also compare gallons per mile information for all 2009 vehicles. The calculator is here. 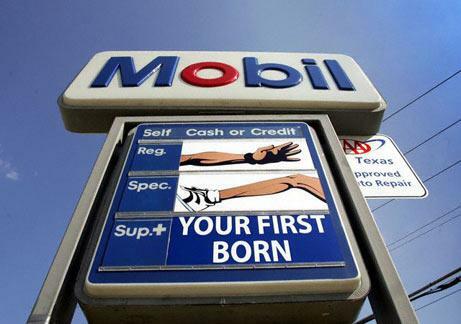 With high gas prices, you might have noticed promotions for free prepaid gas cards when you buy some product. Like a Callaway golf club. A Comfort Inn hotel room stay, a lodge stay on Big Bear Lake, or one booked through Expedia. 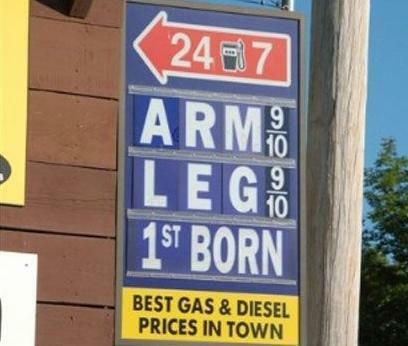 Or a new Chrysler car with of three years of gas guaranteed at $2.99. 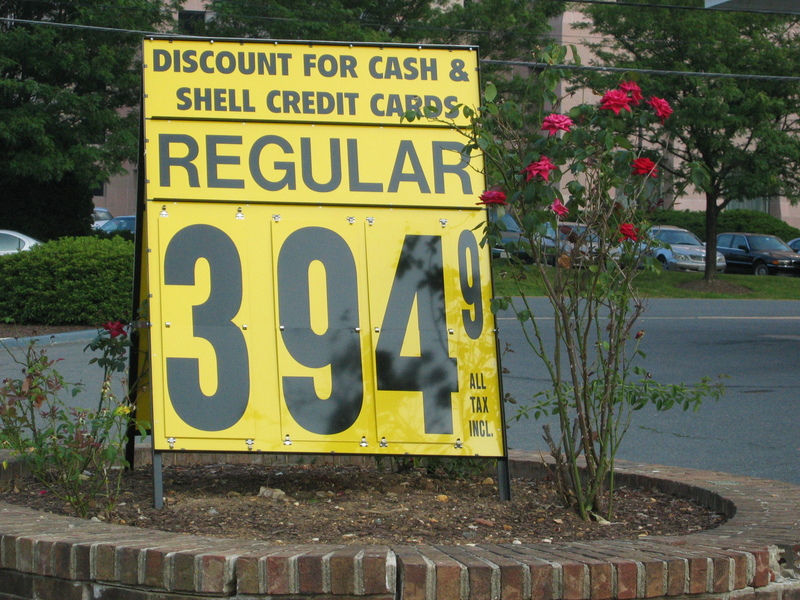 Assuming these prepaid cards aren’t coming at a massive wholesale discount, companies could just offer a simple cash reward, or even a free prepaid generic Mastercard or Visa that would be good anywhere, not just at gas stations. 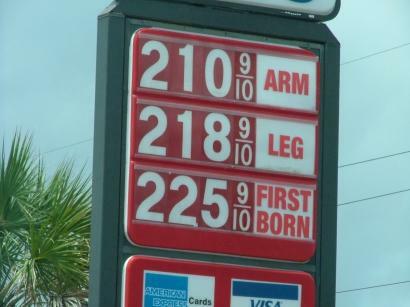 So why play up gas? It’s a classic mental accounting trick. 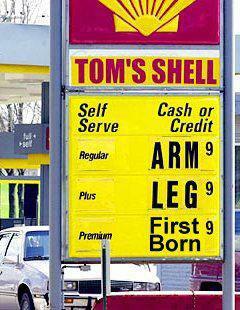 Most Americans have a transportation budget, which has been blown over the past year by $4 a gallon gas. People have a hard time moving money from one mental account to the other, say from clothing or dining out to gas. The prepaid cards give them a way to restore the solvency of the transportation account without upseting their other budgets. Straight cash would be more fungible physically, but less fungible mentally. 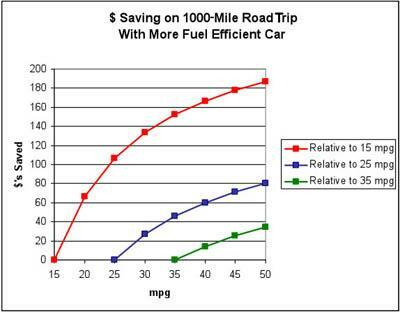 Richard Larrick, who guest blogged for us, points to a graph from The Green Grok showing gas money savings for mpg improvements over 1,000 miles at three fuel efficiency levels. They equate to driving a Jeep SUV (red), a Camry (blue), and a Civic (green). 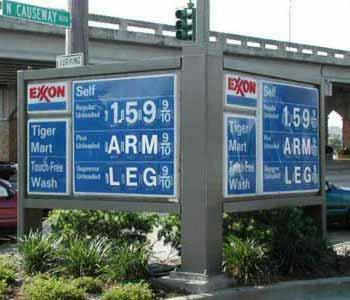 The figure assumes $4 per gallon gas. You can also watch Larrick and co-author Jack Soll in this spot produced by Duke University. Tom Vanderbilt of How We Drive picks up on a Thaler classic from mental accounting. People irrationally say they will drive across town to save $5 on a lousy $10 calculator, but won’t do the same for $5 off a nice $125 jacket. Vanderbilt says his car’s navigation system shows him real time prices at nearby gas stations, allowing him to rationally calculate when it’s worth driving across town or even down the street for a better deal. Interestingly, there was a 36 cents a gallon difference between the closest station and one an additional .3 miles away. So, on a 11 gallon fill-up, i could save nearly $4, with a minimal amount of driving. Doesn’t seem so irrational…But the next three stations, all located near each other, were charging the same price. I’ve actually used that more expensive station before, for the odd reason that there’s hardly ever a line (perhaps precisely because it’s more expensive). But I’ll be curious to see what long-term effects will be on gas-station pricing transparency as more drivers have these devices; will prices flatten out, or will there be more volatility as individual stations advertise particular deals, luring drivers who wouldn’t have considered those stations before?